Shirts, pins, more shirts and soon ringtones and more music. 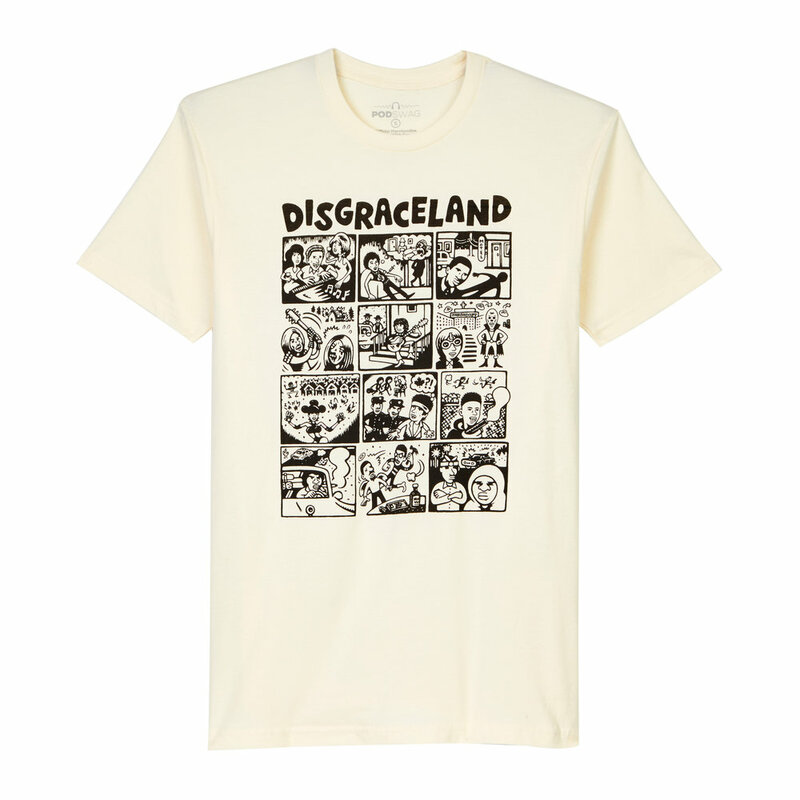 Disgraceland shirts run XS - 2XL. Click below to review sizes and to purchase. Thank you for your support! These Avi Spivak illustrated shirts are going quick and for good reason. They're dope! Zombie Elvis is handsome ain't he? 1.25" glass enameled pin on nickel with rubber clutch backing. Simple black on white original type face t-shirt. 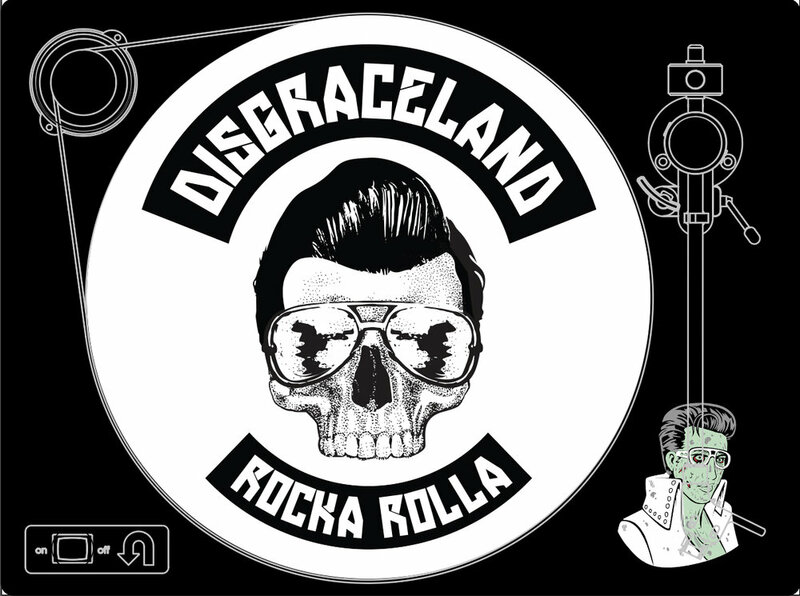 Check Out the mock up design for the First Disgraceland Turntable. More Info coming soon on how you can WIN one. These are promotional only and not for sale. follow @disgracelandpod on Instagram and Twitter and follow Disgraceland on Facebook For updates on how you can get your hands on one.